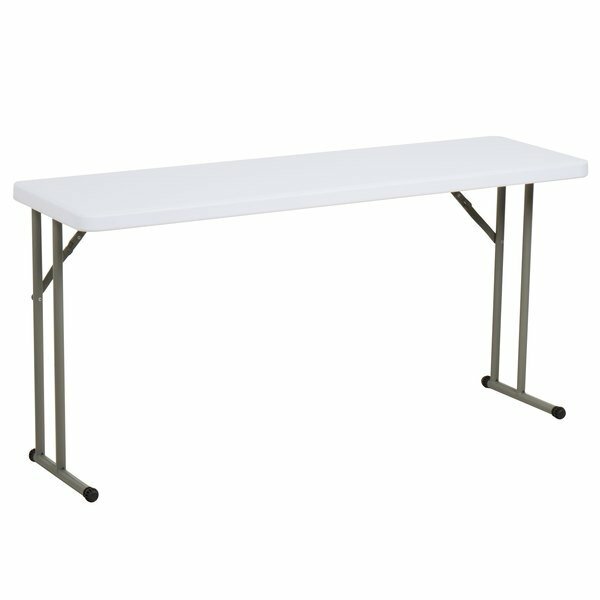 This Lancaster Table & Seating 18" x 60" granite white heavy duty blow molded plastic folding seminar table is a great addition to offices, conference rooms, lecture halls, or catered events! Its high-impact, blow molded polyethylene top will not crack, chip, or peel, guaranteeing years of service. Not only is it easy to clean, it is also stronger and lighter than comparable wooden folding tables, ensuring long-lasting use and quick, effortless transportation.